Built to last a lifetime, the Rackaway is constructed of top grade materials and assembled with the highest quality standards. 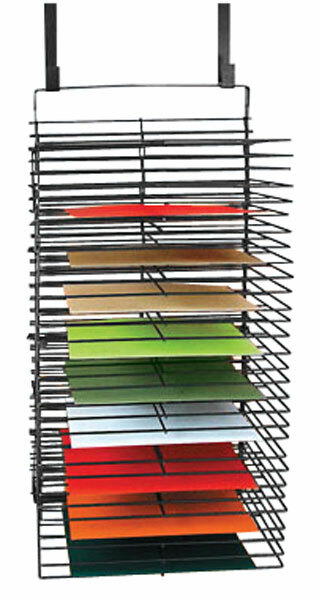 It's built with a strong welded construction with a black, baked-on epoxy finish. 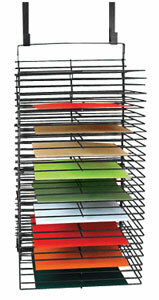 Two racks can be bolted together (hardware not included), providing 60 shelves in a vertical column. Also included are brackets for mounting temporarily on a door or wall. 42" × 16" × 4½"